VILLAGERS in Matebeleland South province have teamed to come up with policies that govern the harvest of amacimbi/amadhora from their area. Information from the province shows that the delicacy is faces a high risk of extinction in the wild due to over harvesting and deforestation. The over harvesting is mainly coming from "foreigners" who often descend on the province around harvesting time, cutting down trees indiscriminately and leaving locals with nothing from their source of livelihood over the years. With this is mind, the villagers have decided to come up with management policies that protect macimbi/madhora from their area as they face extinction. 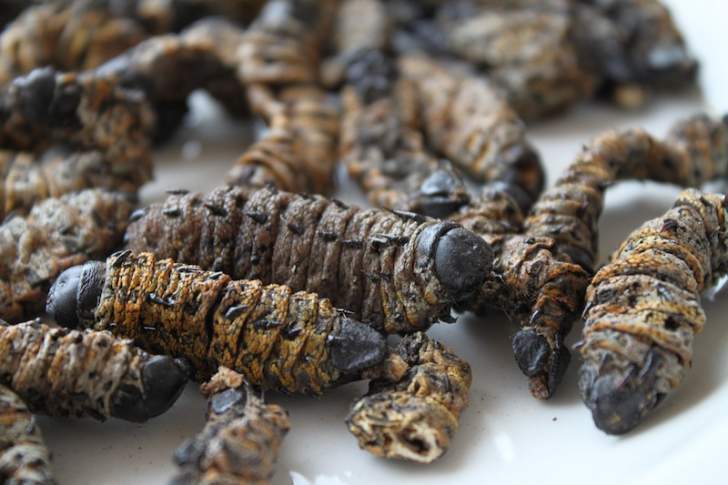 The mopani worms are mostly found in Matebeleland South province in Matobo, Bulilima, Beitbridge, Gwanda districts and few areas along the country's border with Botswana. In interview with NewZimbabwe.com, Amanda Phiri programme officer with Christian Legal Society who are helping the locals to come up with legal document or policy, said consultations were still going on. "The community feels that there is need to have a say in harvesting of amacimbi and also teach who ever would have been allowed to harvest the right and sustainable methods that will ensure that this resource, that they have and their source of livelihoods which they harvest every season, continue to be there in their community," said Phiri. "The villagers have also realised that the people (community leaders) who are supposed to be protecting them are not doing that hence now want people that come to harvest amacimbi have a license or permit and contribute to their Community Share Ownership Trust. "The villagers said if they are well organised, they could reap more benefits from their local resource." She added, "For years, the locals have harvested amacimbi from the bush and trade them to earn money for their survival but people from outside the province descend in the area and wipe out the early worms. "Commercialisation and sharp appetite has decimated the amacimbi population. People are now coming from far flung places, harvest them not even following the traditional practices of harvesting amacimbi, so its high time people get permits to harvest and trade." She went on to say some rural households were now failing to get income generated from the harvest of amacimbi and are now unable to buy basic commodities and even sending their kids to school. Amacimbi are harvested in large quantities during the early months of the rainy season (November to January) and another smaller second harvest from April to May.